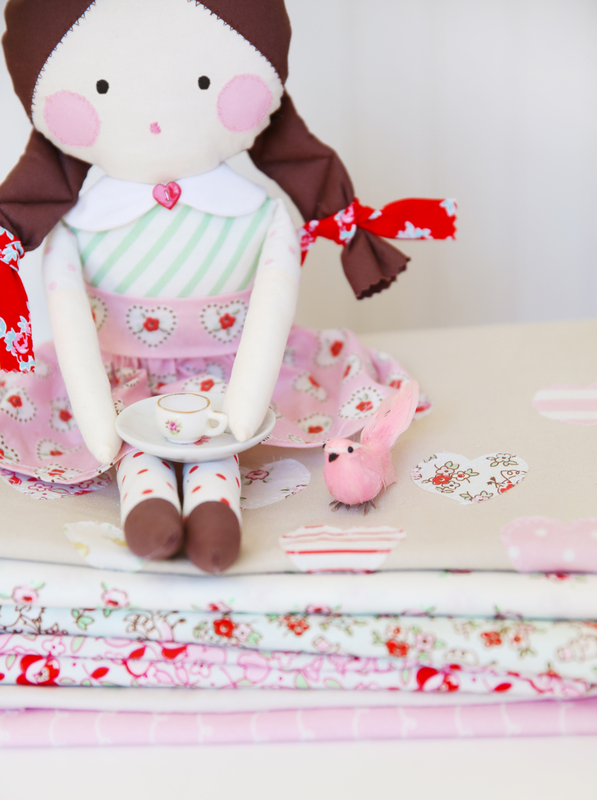 I hope you had a chance to join us on the Little Dolly fabric showcase with Penny Rose Fabrics last week. One thing that fills up my heart with so much love and gratitude is seeing what other people make with my fabric. 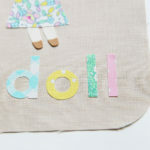 I’m feel honored to have some wonderful friends and designers join me in sharing their Little Dolly inspiration. 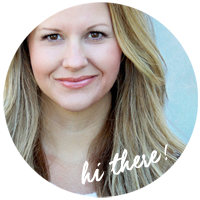 Those treasures on the showcase include: Heidi Staples, Cassie Putney, Jennie, Lauren Nash and Minki Kim. 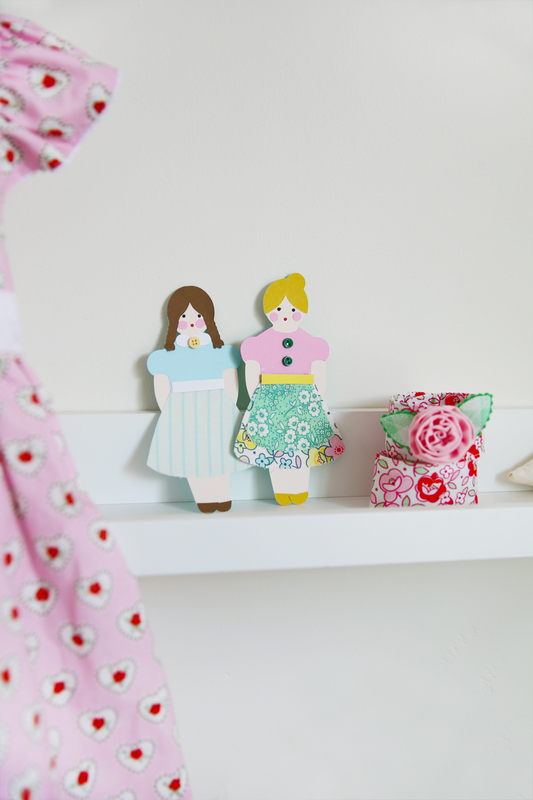 If you missed any of their posts on the showcase, you can search for #littledollyfabricshowcase on Instagram to see all the pretty projects, too. Please stop by to visit them (a link to each on their name above) and leave them a sweet note or two. 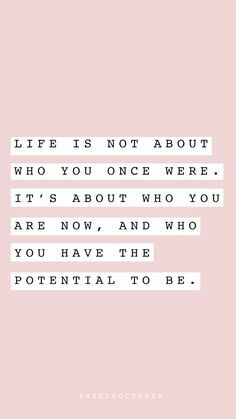 What inspiration! 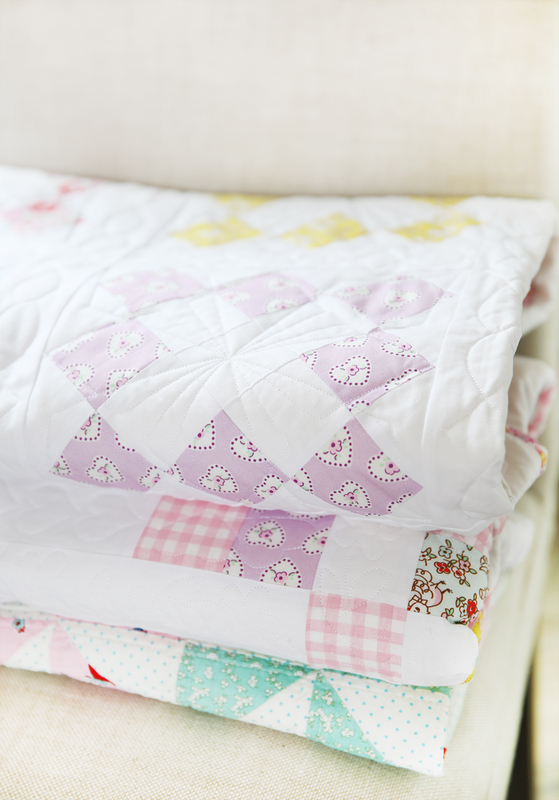 Beautiful quilts, a darling dolly basket bed, sweet handmade treasures and little girls that will light up your heart … await you from the showcase. 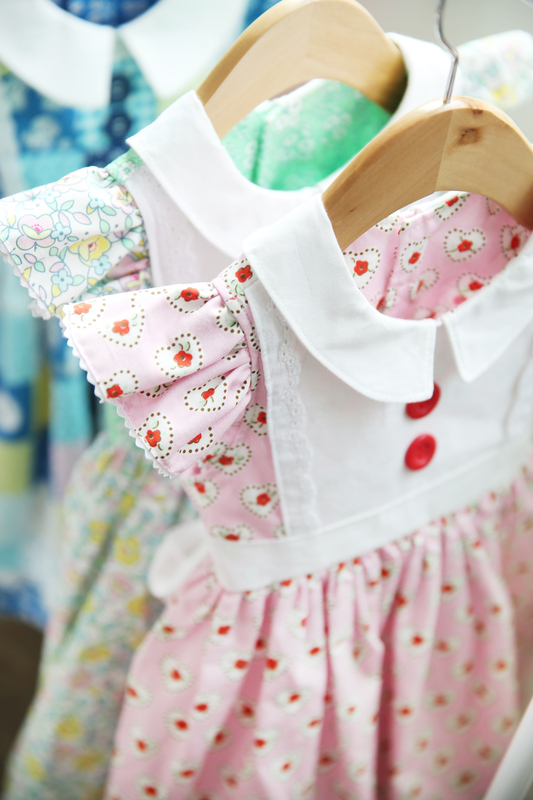 Photo of Little Dolly dresses. 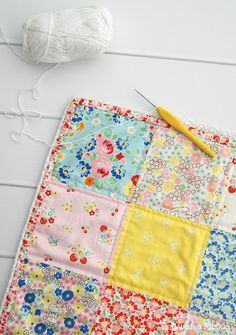 A favorite pattern I love by The Cottage Mama. Little Dolly Granny Squares Quilt my friend Jeannie Schultz made for Quilt Market. 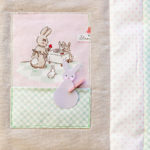 Free pattern by Emily Dennis of the Quilty Love blog. Dolly Dress quilt using a quilt block from my upcoming book, Dolly. This is a cherished quilt made for me by my friend, Jeannie Schultz, for Quilt Market. 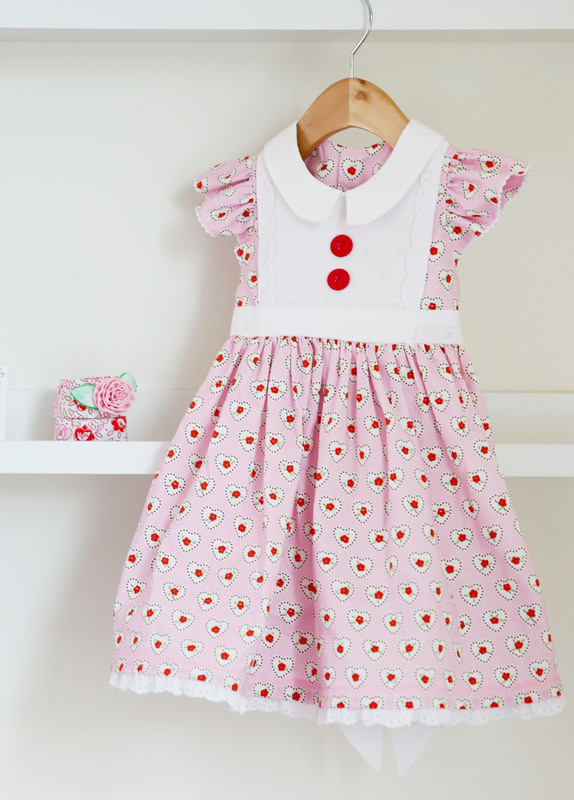 Another sweet Little Dolly dress! The sweet trim and details … light up my heart! When the gifts were all unwrapped, my grandmother disappeared into her sewing room and returned with one more package. Her eyes twinkled with excitement as she handed the gift to me. She had quietly worked on this little surprise for months, for this very moment. 35-years later, here I am holding on to this dear memory. Some sweet little things sitting on my shelf. For now, just a peek! Inside the gift box was a pair of precious rag dolls my grandmother had quietly sewn in secret to surprise me on Christmas day. They were treasures! My grandma’s love poured into every stitch and detail. 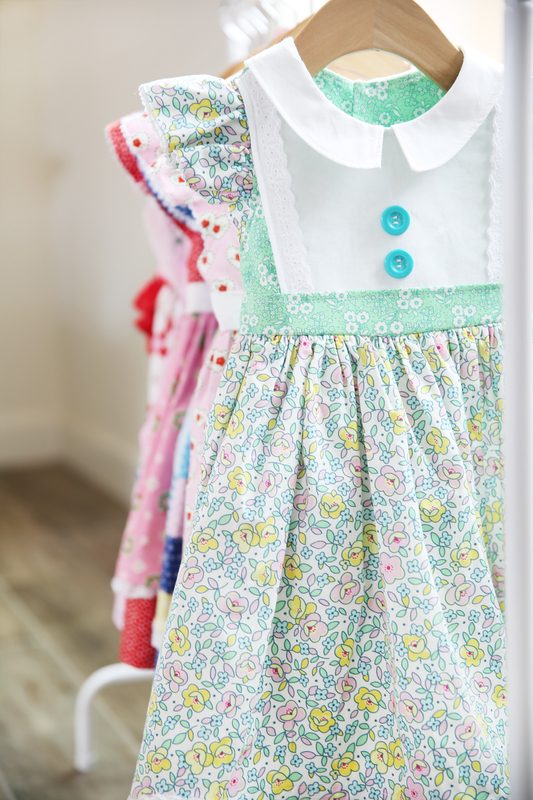 Each doll was adorned with a sweet ruffled skirt, and their own pearled necklaces that grandma restrung to new life from a beloved broken necklace in her jewelry box. They each even had tiny little shoes. She made one of the rag dolls to look just like me. Brown hair. Brown eyes. Braids. I hugged them tightly. They were so special. 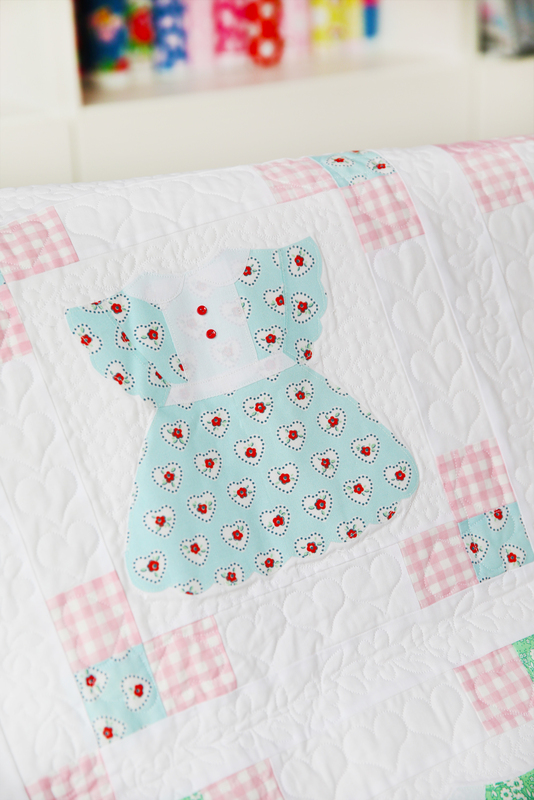 Rag Doll pattern from my upcoming book, Dolly, with Riley Blake Designs. I will forever hold a piece of my grandmother’s heart in those sweet rag dolls she made for me. 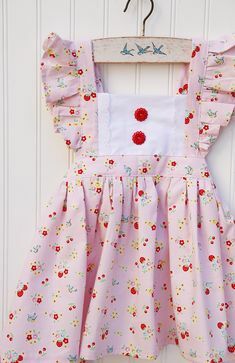 Little Dolly is inspired by this moment all those years ago and so much of the earlier tinkering I did on my childhood sewing machine making doll clothes. Creating special gifts with a needle and thread was one of my grandmother’s acts of love … and one I am so grateful to have learned from her. I searched through my scrapbooks looking for a photo to share of me and my grandma. 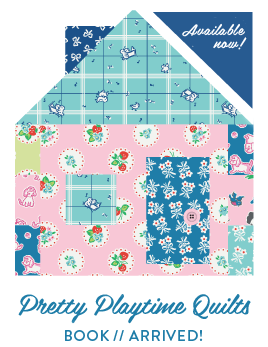 This collection is dear to me – and I am overjoyed for the opportunity to create it with Penny Rose Fabrics and share it with you! 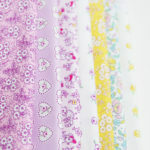 I hear the fabric is now arriving to shops along with the Little Dolly accessories – and this is exciting news! 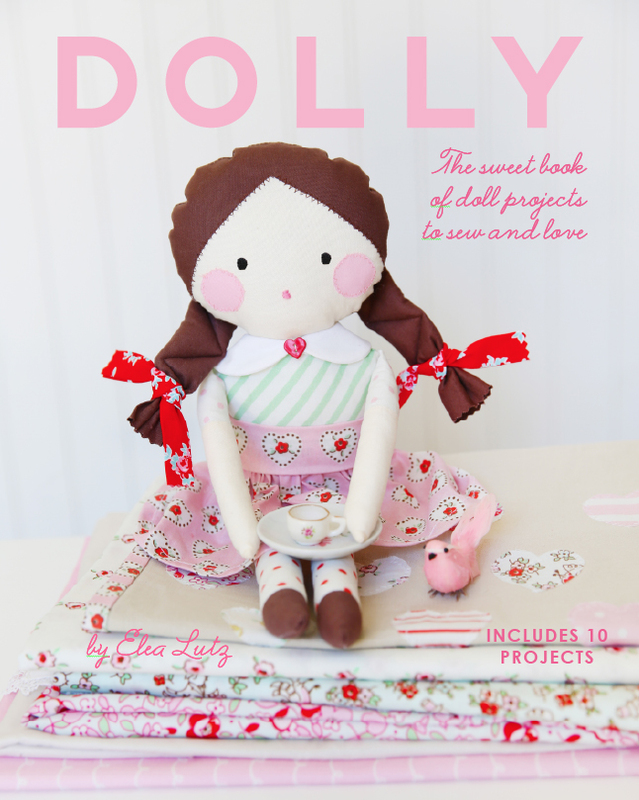 My upcoming book, Dolly, will be featuring projects with this fabric collection, including the above little rag doll pattern to make, too. The book is set to arrive any week now! And you can read more about the collection, accessories and book in this post and this post, too. Thank you, friends – I hope you love Little Dolly as much as I do – and I’d love to see how the collection inspires you, too. 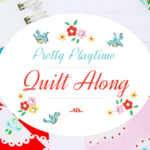 Please tag me or use hashtags #littledollyfabric #pennyrosefabrics to share your projects. I’d be thrilled to see a peek! 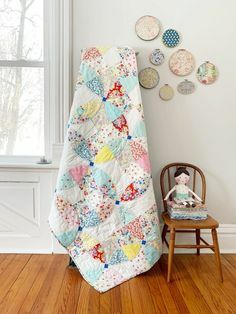 What a lovely story behind your beautiful fabric. I’m excited for the book and the kits to hit the stores:) All the best! Oh Elea, my heart just melted at your lovely story. I too remember that Cabbage Patch frenzy. 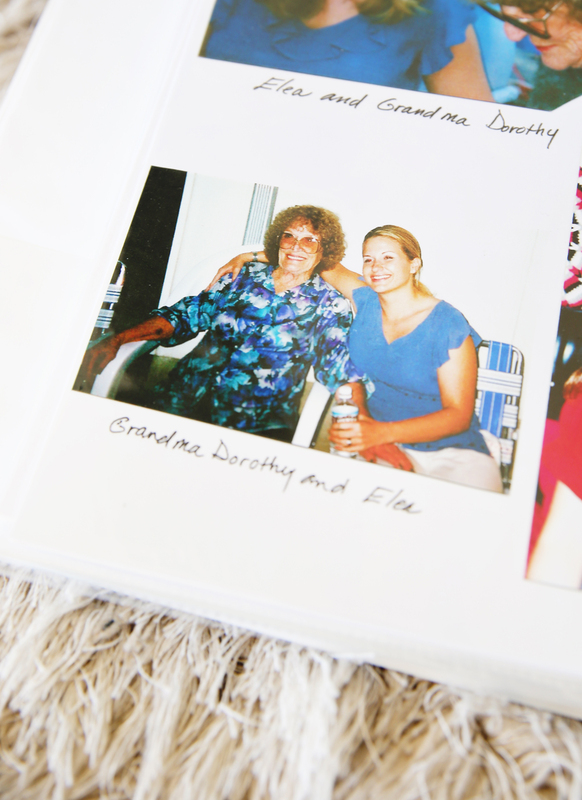 What a treasured memory you have of your grandmother – so special. 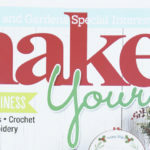 Looking forward to sewing with your new line of fabric and your new book – loved the sneak peak of that dolly dress pattern in it. Thank you for sharing your beautiful story. All of the projects look darling!